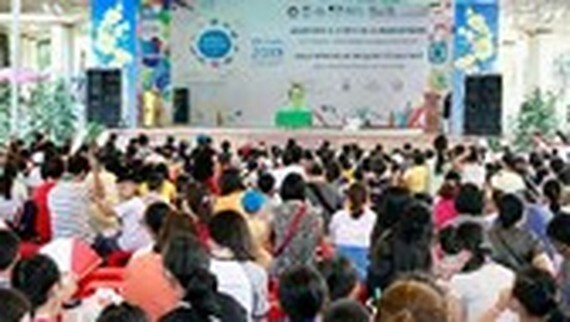 Francophonie festival was organized yesterday in the Zoo and Botanical Gardens in Ho Chi Minh City’s downtown to mark the International Francophone Day (March 20) with throng of teachers and students. 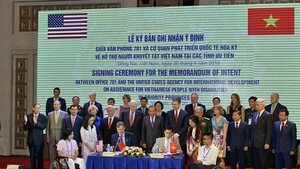 The festival had various activities including movies screening, concert, photo exhibition and cuisine held by the Department of Education and Training in coordination with the Vietnam union of friendship organizations and consulates. Presently, being one of the localities countrywide which have worked hard to promote French language learning and cultural exchanges with French-speaking countries, Ho Chi Minh City has taught French for over 20 years. So far 18 schools from primary schools to senior high schools are teaching French with 4,000 learners. The International Organization of the Francophonie (OIF) groups comprises of 88 member states with a total population of over 900 million people and about 300 million French speakers. Vietnam became an OIF member in 1970.